Today, I’m really excited to announce that I’ve actually been following through on a number of things on my personal to-do list lately. Including writing up my first ever knitting pattern! Never you mind that it was 70 degrees and sunny today, and the pattern is for a warm and sassy winter bonnet-style hat. You need to start making Christmas presents, don’t you? Checking things off of your to-do list? 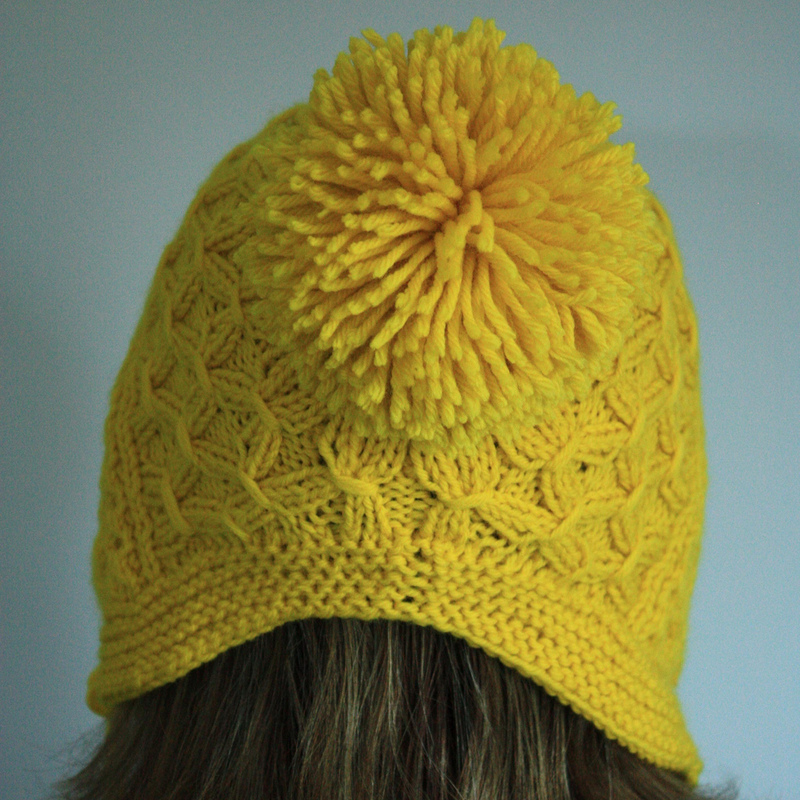 This hat was originally designed in December of 2010 as a gift for my awesome little sister, Carsyn. 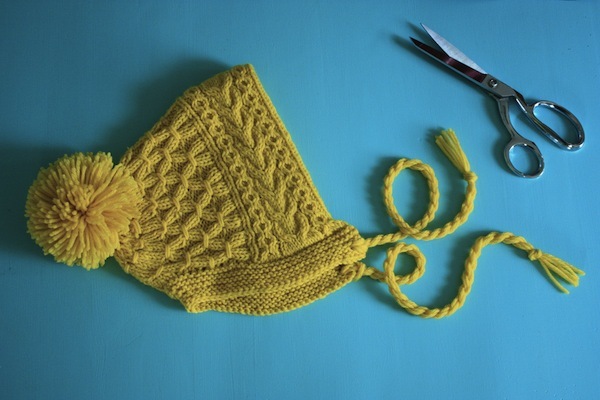 It was inspired by Elizabeth Zimmerman’s ski bonnet in The Opinionated Knitter, which is knit in the round and then steeked — but my version is knit flat then joined in the round instead. The band is double-thickness for warmth over the ears. Also, it has a giant pom-pom. In celebration of checking off to-do lists everywhere, this pattern is free. 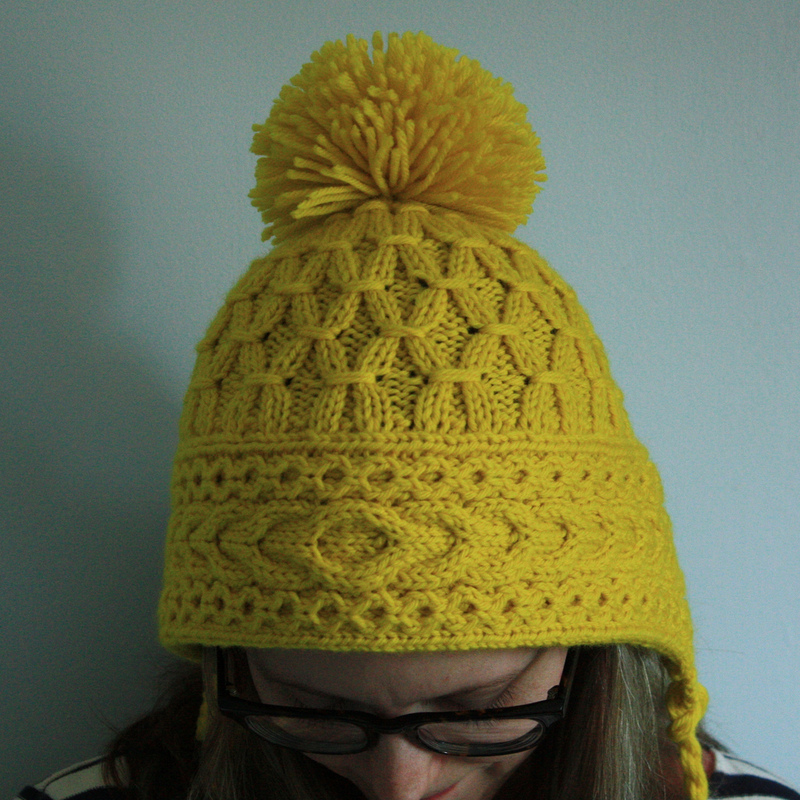 You can download it here: Neon Ski Bonnet PDF or by visiting the pattern page on Ravelry. Thanks Izabelle! Can’t wait to see it! I guess it depends what part of SoCal you’re in, but it gets cold like one week a year, right? ;) So you need at LEAST a dozen handknit hats. Gotta have options. 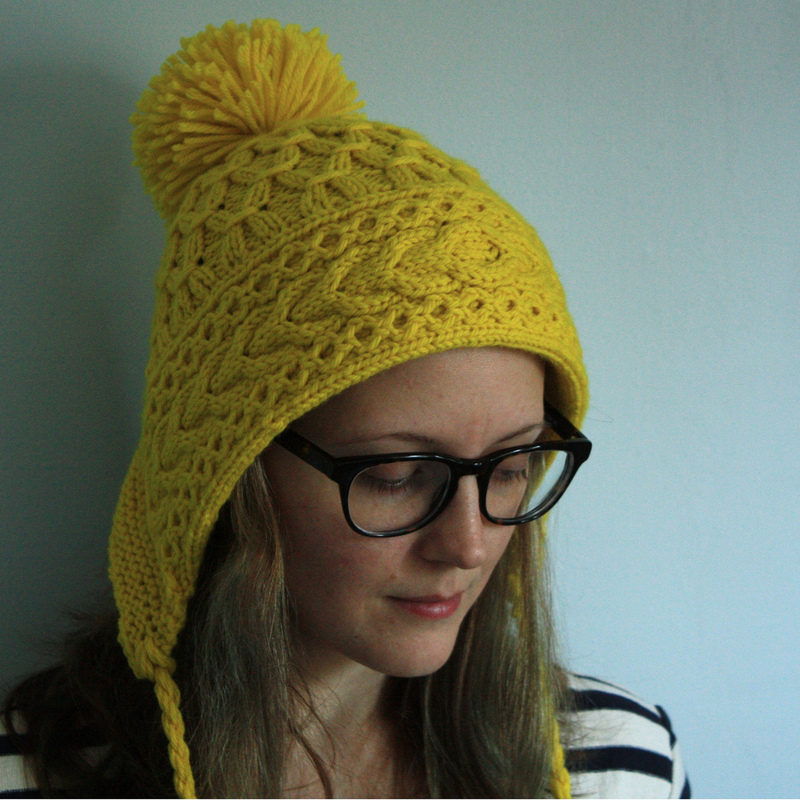 Love your pattern and after I get my other knitting projects done, I will knit your beautifully designed hat. I am new to reading charts and have a question about the chart for the band. Some of the symbols on the key have two stitches (k1/p1) (lt/plt) I am not sure what to do. 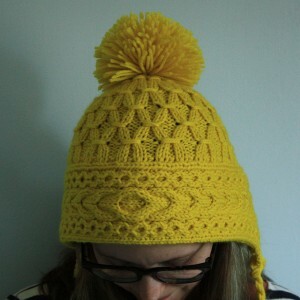 I love this pattern and really want to try it. Thanks for any help you can give. When there are two stitches listed, those are directions for front side and back side. If you work the pattern as directed with the band in the round, you’ll always be working the front side (first stitch listed). 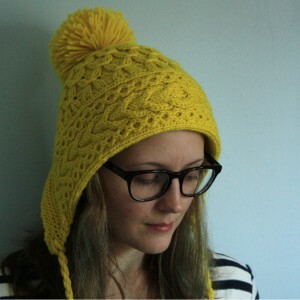 There are some more comments about this on the pattern page on Ravelry that you might want to check out too!